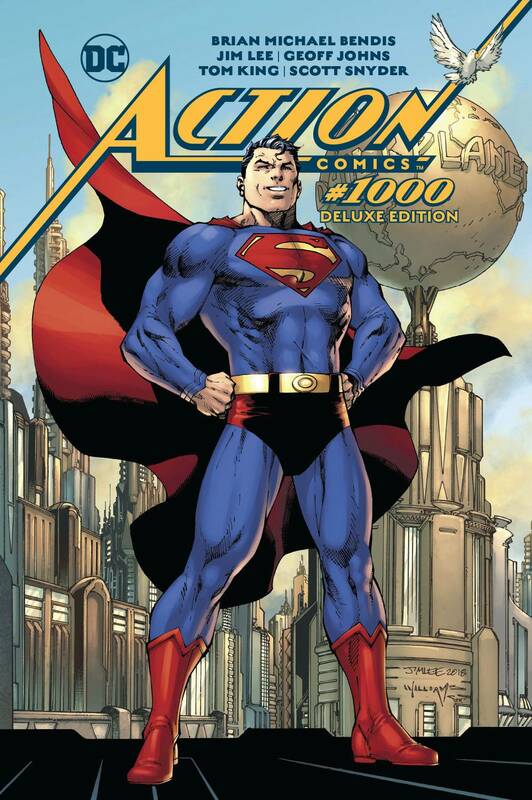 The celebration of 1,000 issues of ACTION COMICS continues with a new Deluxe Edition of the amazing comic that won raves when it hit comics shops in April! 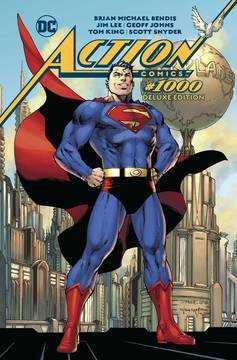 This hardcover includes all the stories from that issue, plus the tale by writer Paul Levitz and artist Neal Adams that appeared in the ACTION COMICS: 80 YEARS OF SUPERMAN hardcover, as well as all the variant covers (open to buy and retailer exclusives), design sketches by Jim Lee for Superman's new look, scripts for the stories, the original art from the lost story featuring art by Curt Swan and more! Plus: a complete reprint of the stories that started it all-the Superman stories from ACTION COMICS #1 and 2 from 1938!.